Special Christmas offer for students! Double your classes by clicking here. Write Now is an online writing workshop experience which includes weekly writing help in the form of optional assignments, encouragement, writing tips, and critique to make your story even better. You will have access to writing exercises, Q&A, chats, videos, and more. 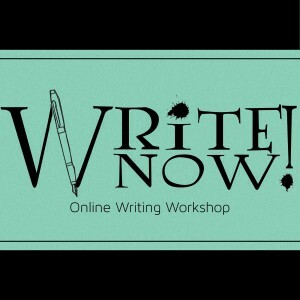 The cost to participate in the Write Now online workshops is $9.95 per month. You can cancel at any time. To enroll in Write Now, simply click the subscribe button. Write Now: Online Writing Workshop for Student Authors is an inspiring program designed to help beginning student authors write their best! It covers everything from correct dialogue to the editing and marketing processes of a book. Along the way, the teachers of this unique program give helpful tips, feedback, writing prompts, and are always ready and willing to answer any question that the student has! It is a program that every beginning writer should participate in. It is definitely worth the money put into it! It has been very helpful to me, personally, and if I could rate it, I would definately give it FIVE STARS!! !